Spring is in the air and it feels like a time of new beginnings. There are lighter mornings and evenings, milder temperatures and evidence of the newness of life appearing all around. All these factors can lift our spirits and make us feel as if anything is possible. Spring is a good time to reflect on where we are going in life. Many of us also feel a sense of restlessness in spring, a yearning to “do something”. So it’s an ideal opportunity to give ourselves a reboot, and get back on track with the plans and priorities that we want to achieve this year. If you are thinking about changing jobs during 2019 then now is the time to start evaluating your options and to start the ball rolling. But why not think outside the box? Rather than looking for similar jobs to the one you are currently doing, what about considering doing something totally different? It’s ironic that many of us work in jobs that we don’t really enjoy, but have a real passion for something else in life. Something that we would love to spend more time doing - but are too busy working! Wouldn’t it be amazing if we could combine our passion with our working life and get a job that enables us to do what we love day in and day out? Well, if photography is your passion then perhaps one day it could also be your career? Even if you are not ready to make this jump just yet, it is worth exploring what you would need to do to become a photographer. Firstly you need to examine your photography skills and decide whether you need to learn more about the technicalities of photography before considering it as a serious career option. For starters, if you can frame a good shot, get the best exposure, and are able to process and download the result, then you are already heading along the right lines. Depending on where you are at, there are a variety of photography courses you could take to improve your skills and knowledge. Use Google to find out what is available in your local area. You are likely to find a variety of courses suitable for beginners, keen amateurs or those already at a professional standard. There are usually part-time, evening and weekend photography courses available that will dovetail with your current work commitments. There are also various professional associations available to join, such as The British Institute of Professional Photography, Association of Photographers and the Master Photographers Association. In preparation for changing careers you could also start to build up some photography work as a sideline. Start to research the areas of photography that you want to move into and begin to look at the work of current photographers and markets. Also find people that might be able to give you work, for example special events, family portraits, or images for websites, social media and blogs. Another option is to consider working as a photographer’s assistant and learn on the job. This can be invaluable experience for acquiring an in-depth knowledge of both technical and organisational skills. There are also many other career opportunities related to photography that are enjoyable in themselves as well as being a potential way into the business. For example, Venture Studios is continuously looking for dynamic personalities to join our teams throughout the UK in a variety of roles. Take a browse through our Jobs page to see what kind of opportunities and roles are currently available. Another exciting opportunity that Venture Studios offers is to become a franchisee and run your own studio! 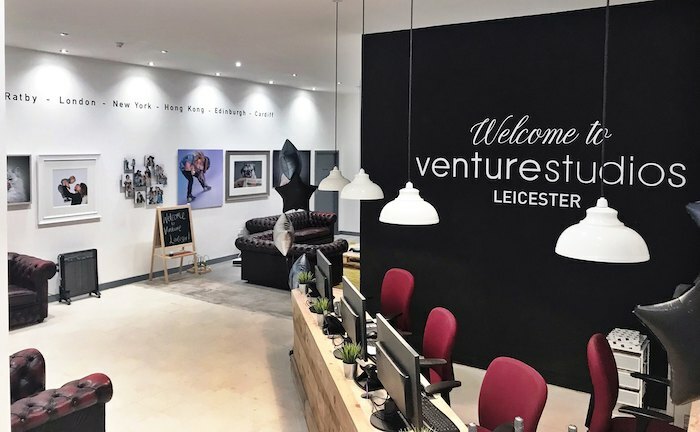 Our latest studio opened in Leicester at the beginning of February and is already going from strength to strength. Venture has operated its franchise model for the last 17 years, and we provide exceptional training and support to each individual studio. 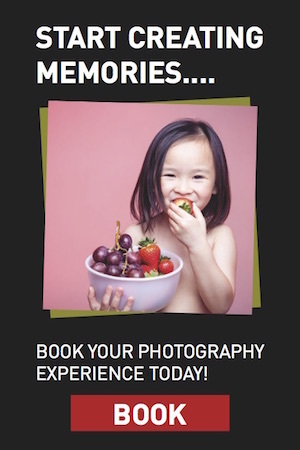 Our franchisee photography training is accredited by the BIPP (British Institute of Professional Photography) – meaning that those photographers completing Venture training automatically receive BIPP qualifications. We are also a full member of the BFA (British Franchise Association) which means that the Venture model and training is endorsed by the regulatory body for the UK franchise sector. Venture is a previous winner of the BFA’s franchisee of the year award. All our studios are also supported by our central marketing team which continually generates around 20% of customers for our studios. We do all that we can to help you achieve a high average order value and the required customer volume. This means that as a Venture Studios franchisee, you will have the opportunity to make an average annual turnover of £440,000: comparable with many much larger franchises on the market, despite start-up costs from just £70,000. To find out more details about this exciting opportunity, first of all read through all of the relevant sections of our website, starting with the Run Your Own Studio page. So as we move into spring, perhaps now it’s finally time to start creating the kind of life you want, and making photography work for you.